We have marked a distinct and dynamic position in the market by providing a high quality array of Tamarind Concentrate. It is 100% Seedless Tamarind Concentrate , ready to use in your beverage & kitchen . Description: To add a dash of Indian flavor and aroma to your cooking. Manna Tamarind concentrate is made from ripe tamarind, boded in water, double filtered concentrated & packed hygienically. So you C3fl cook your fa’, ourite dishes without a mess. More tangy - Need Less quantity than tamarind paste. No fibres, No added colours preservatives and salt. 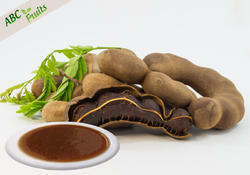 Tamarind Paste, also called tamarind concentrate, is a pure concentrate of tamarind. Tamarind mostly cultivated in India. 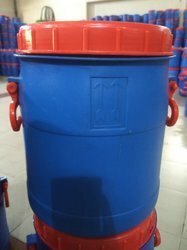 We are the leading exporter of Tamarind Concentrate in European countries like France, Germany, Greece, Finland, Netherlands, Australia, Arabian countries, Poland, Portugal, Italy and all over world. Tamarind paste is made by first soaking deseeded tamarinds in hot water so that it becomes soft and then it is blended into a paste. It can then be directly used in cooking to give tangy flavor to any dish. It also perfectly compliments a lot of snacks to give that edgy flavor. We are proud to offer tamarind concentrate, which is processed using completely fresh and natural tamarind fruits. Available at market leading price. • 227gms x 48 Nos each Box. • 454gmsx x 24 Nos each Box. • 400gms x 24 Nos each Box. Tamarind concentrate, also called tamarind paste, is a pure concentrate of tamarind. Tamarind is the pod of a tree mostly cultivated in India. Because of the tamarind's many uses, cultivation has spread around the world in tropical and subtropical zones. Of course; here there are some ready to use products from our side. Tamarind Concentrate - The rich taste of natural ripe Tamarind is hygienically processed and packed for the instant use.